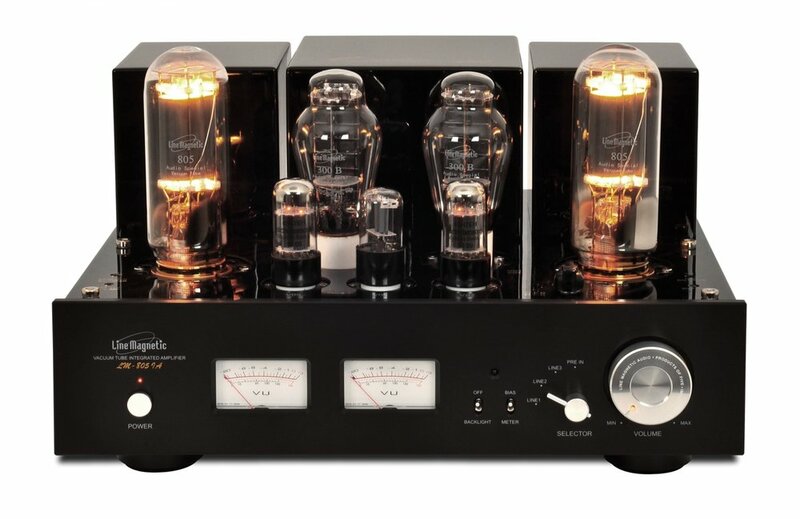 The company LINE MAGNETIC was founded in 2005 by two brothers, both audiophiles who are passionate about tube electronics and notably the legendary American achievements of the 1950s. For many years, the company has become known throughout the world as the specialist in the repair and production of Western Electric, Altec, Jensen and other replicas of loudspeakers and electronics. The company has two factories in which all the products are made up of assemblies point-to-point wiring. The LM 805IA integrated amplifier you see above is a Class A amplifier - 2x48W RMS. It has easy access Bias control / true ampere meter, 3 analog inputs / Load impedance: 4/8/16Ω, ALPS volume control and Realcap capacitors, metal/ removable tube guard cage, and infrared remote control. These amplifiers have stunning, unusual musicality.